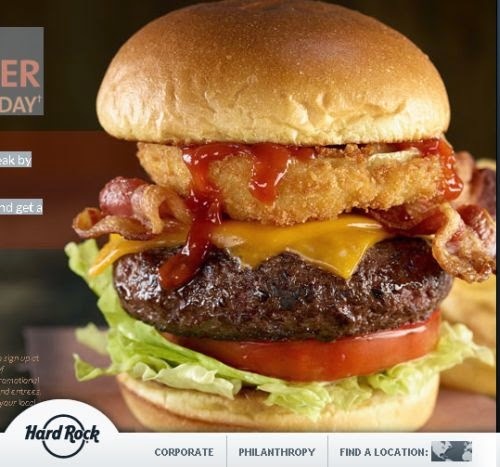 Freedom Rockz: Free @ Hard Rock Cafe! Free @ Hard Rock Cafe! This year, on Tax Day, Hard Rock Cafe is cutting Americans a break by asking them to lay down their wallets and pick up the mic! Sing your favorite song on stage on TUESDAY, APRIL 15, 2014 and get a FREE ENTREE* from their NEW MENU! Click the link below to go to their website to get the details.